1. 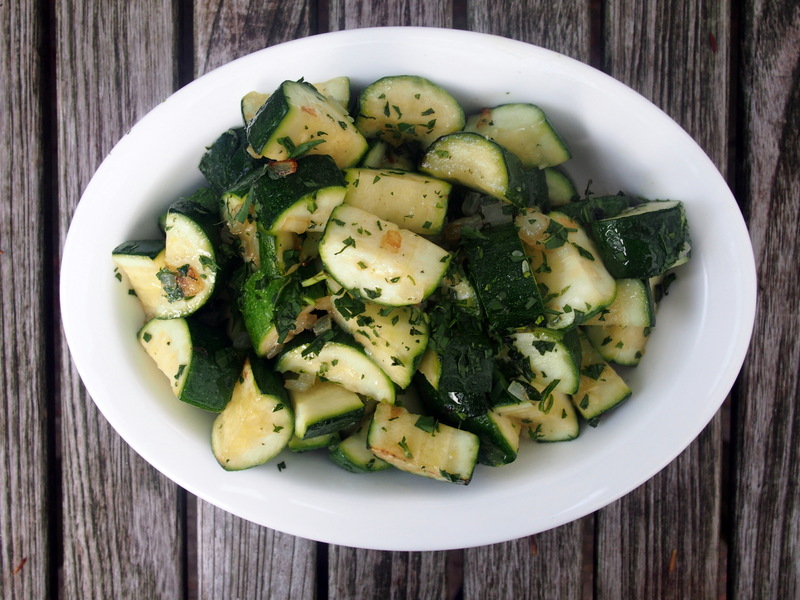 Wash and dry the zucchini, trim off the ends and cut the zucchini into 1 inch lengths. Cut each length through the center into two. 2. 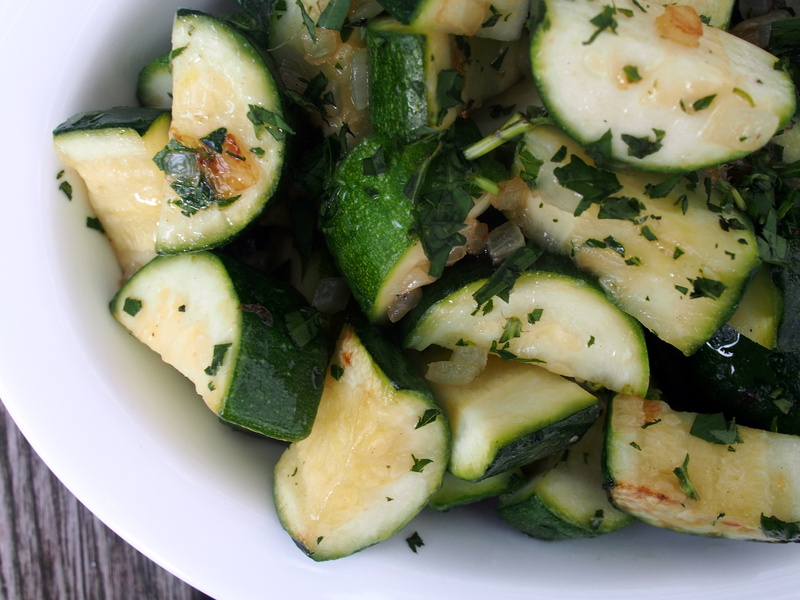 Heat butter and vegetable oil in a large skillet, add shallots or onion and the zucchini and saute 5 to 6 minutes. Add tarragon, toss and serve.